Today on Bibliophilia, Please, we have Jonathan Grant on the blog. 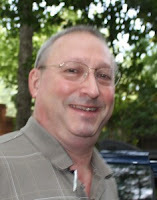 He is the author of many books, but is currently promoting his new release - Brambleman. Down-and-out Atlanta writer Charlie Sherman has no idea what madness awaits him when a mysterious stranger convinces him to finish a dead man’s book about a horrific crime that’s gone unpunished for decades. What Charlie inherits is an unwieldy manuscript about the mob-driven expulsion of more than 1,000 blacks from Forsyth County, Georgia in 1912. During the course of his work, Charlie uncovers a terrible secret involving a Forsyth County land grab. Due to its proximity to Atlanta, the stolen farm is now worth $20 million—and a sale is pending. When he finds the land’s rightful owner, Charlie becomes convinced he’s been chosen by a Higher Power to wreak justice and vengeance on those who profit from evil. And then things go horribly wrong. Jonathan, thank you so much for visiting Bibliophilia, Please. Could you tell us, in your own words, a little about Brambleman. It’s the story of a homeless writer, Charlie Sherman, who is convinced by a mysterious stranger to finish a dead man’s book about a horrific crime that’s gone unpunished for decades. Charlie begins work on an epic manuscript about the mob-driven expulsion of more than 1,000 blacks from Forsyth County, Georgia in 1912. However, during the course of his work, Charlie uncovers a terrible secret involving the theft of a Forsyth County farm that is now worth $20 million. When he finds the land’s rightful owner, Charlie becomes convinced he’s been chosen by a Higher Power to wreak justice and vengeance upon the wicked who stand to profit from evil. That’s when things go horribly wrong. It’s set in Forsyth County, famous as the birthplace of Hee-Haw’s Junior Samples, has for most of the past century, existed as an intentionally all-white community bordering the black Mecca of Atlanta since 1912, following one of the 20th century’s most violent racist outrages—including lynching, nightriding, and arson. In 1987, the sleepy community gained notoriety when a small march led by civil rights firebrand Hosea Williams was broken up by rock- and bottle-throwing Klansmen, neo-Nazis, and their sympathizers. Bloody but unbowed, Williams returned the next week with 25,000 followers in one of largest civil rights marches in history. There was talk of reparations. Oprah came to Forsyth and taped her show. (She ranks it as one of the most significant ones she ever produced.) Protests and counter-protests yielded a landmark Supreme Court case on free speech. But most importantly, white people flocked to Forsyth. It became the fastest- growing county in the nation, the richest one in Georgia, and one of the twenty wealthiest in the U.S. The fact that I finished a dead man’s book had something to do with it. Also, there hasn’t been much written about Forsyth County’s violent past. In fact, the book I edited had only a paragraph about 1912 events in Forsyth County, although there were a several pages on the massive civil rights marches there in 1987. But I think it’s fascinating. How did this sleepy rural enclave on the cusp of Atlanta become all white? And why did it boom once people found out its secret. Fascinating stuff. I also wanted to find a way to connect the past to the present. Of course, it’s not hard. As William Faulkner noted, “The past isn’t dead and buried. It’s not even past.” I wanted to show the consequences of horrible crimes play out unto the third and fourth generations. Trouble, because he’s not from around here and knows no boundaries. What kind of research did you do while preparing your story? I spent more than 3,000 hours editing a monumental history book: The Way It Was in the South: The Black Experience in Georgia, so I had a solid background on Southern and Georgia history. 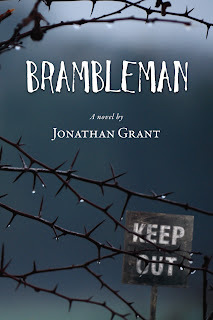 When I was working on Brambleman, I wanted to recreate what happened back in 1912 as accurately as possible, so I read through local histories, newspaper accounts, microfilm of The New York Times and The Atlanta Journal-Constitution. I also read through a dissertation on the Progressive Era in Georgia and visited the Georgia arhives. The results of all this you’ll see in Chapter Five, which is a straightforward account of one of the most extreme cases of racial violence and ethnic cleansing in American history. (It should also be noted that this part of Georgia was once home to the Cherokees, so it was no stranger to forced removal of unwanted peoples.) What I think you end up with is the best, most cohesive account that there is. I changed names and added a few details, but if you read Chapter Five of Brambleman, you’ll have a good idea of what happened back in the day. It is always interesting to hear why independent authors have chosen that particular route. What made you decide to go “indie”? I’ve published nonfiction traditionally and I’ve had agents for most of my novels, but they’ve never been able to place them. Traditional publishers wear their own sets of blinders, and I write outside their comfort zones. And of course, over the past few years, traditional publishers have been hit hard by bad economics and new technology, so the market has closed off even more. Editors told my agent they’d publish Brambleman if I cut it in half. That’s an arbitrary length, and it tells you a lot about the way they think--or don’t. For the record, Brambleman is a big book (464 pages) but not humongous. And it says what it needs to say. No fluffery. I don’t think it’s ever been more difficult for a new writer to get published traditionally, and it hasn’t ever been more feasible to be published independently. (Notice I didn’t say “easier.”) Whether we succeed or not is another issue. That’s the second—and third—part of the game. Having capital helps, by the way. No. I’m a great believer in stumbling around in the dark. Although I do wish I hadn’t gone to that transmission shop on Buford highway to get my van fixed. Which books, if any, have most affected/inspired your writing and life in general? The writers who inspired me may not have greatly influenced my style (OK, maybe a little), but Kurt Vonnegut, Joseph Heller, Ken Kesey, and Hunter S. Thomson seemed to be talking directly to me and convinced me that I should be a writer. The novel that stands out in my mind is All the King’s Men by Robert Penn Warren. My first novel (will it ever be published?) is a homage to this great work. However, the book that has influenced me the most is The Way It Was in the South, which I finished writing and editing after my father’s death. This was history up close in all its harsh detail, and once you have been burdened by a knowledge of history, it changes everything. My books often have Southern settings (although the location for Chain Gang Elementary—my tale of war between a PTA president and grade school principal—is never specified, and I believe it could be found anywhere.) However, I don’t think of myself as a Southern writer---although Brambleman is definitely a Southern story. Although I’ve lived in Georgia 40 years, and may even have a bit of a drawl accent (I think that comes from talking to all those sheriffs when I was a reporter), I’m originally from Missouri. I’m more of a border-state Yankee writer. I just finished The Ox-Bow Incident, a classic Western novel about a lynching; I just started reading Swamplandia! I’m curious about this book that lost the Pulitzer prize and fascinated that it’s received such lukewarm ratings from readers. After reading the first few chapters, I’d say it’s my kind of book. Finally, what advice would you give to aspiring writers? Jonathan, it was a pleasure interviewing you. You certainly gave me plenty to think about. If you are interesting in reading more, check out the Excerpt of Brambleman or you can also purchase your copy on Amazon! Be sure to add Brambleman to your TBR list on Goodreads! 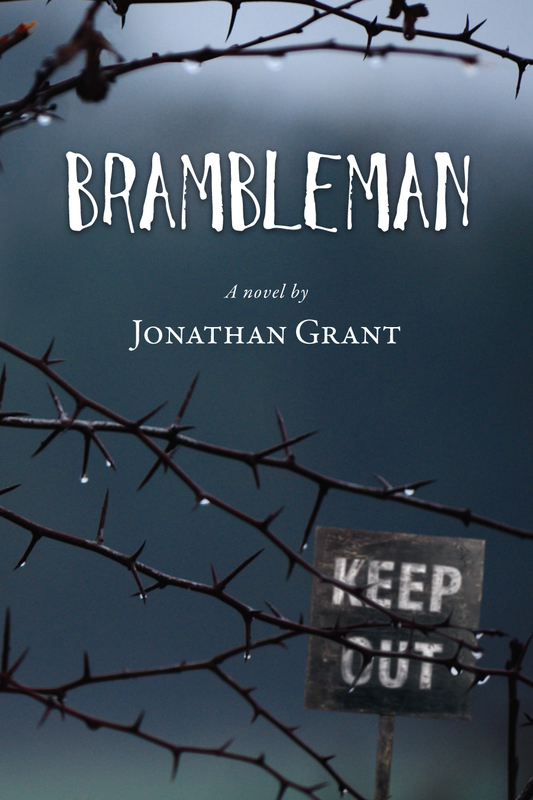 Brambleman author Jonathan Grant is an award-winning writer and editor (The Way It Was in the South: The Black Experience in Georgia). He publishes Georgia Colleges, a news website covering educational issues. He also runs a Darwin-awardish blog at www.chaingangelementary.com. You can folllow Jonathan for news on Brambleman and upcoming projects on his Website and Facebook. Great interview! Though I disagree about facebook...Twitter might be fleeting, but online social networking is here to stay. Keep up the good work!